FileMaker Server gives you a secure way to share your app with users, so they can access your custom apps using FileMaker Pro, FileMaker Go and FileMaker WebDirect. From the server, you can monitor user activity, create backups, and even schedule scripts to run on the server itself. 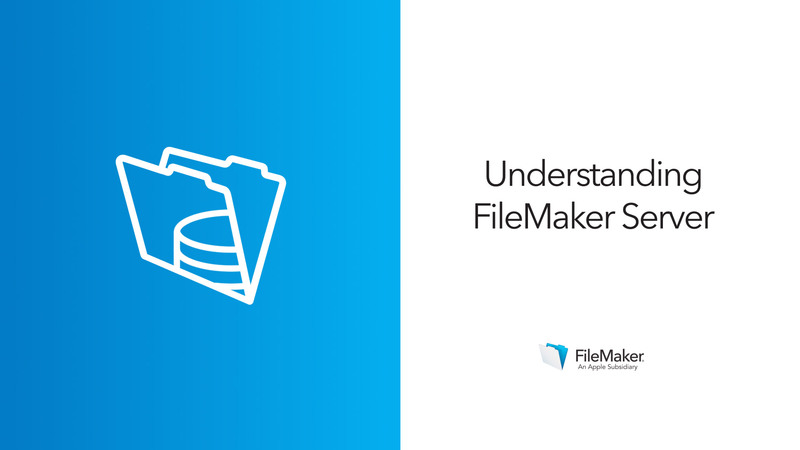 If you're new to FileMaker Server, it will help to understand how it works and what components you'll need. This lesson will walk you through the fundamentals of FileMaker Server: the software itself, and the hardware you load it onto. You'll also learn about the security measures FileMaker Server takes to ensure your app and its data are protected. When you set up FileMaker Server, you are the server administrator. You'll make a series of decisions during setup and maintenance, and those decisions will be easier if you understand the "big picture" of how FileMaker Server works. Watch this overview before proceeding with the installation videos in the next lessons.